Meet the 2014 Kawasaki Brute Force 750 4x4i EPS, a rugged ATV equipped with a modern Electric Power Steeering that helps you deal easier with tight turns. 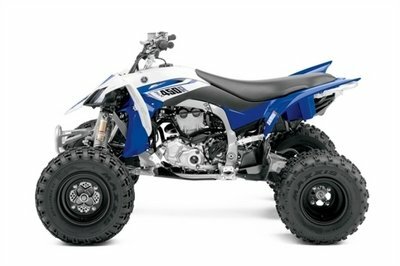 The ATV is propelled by a 749 cc, liquid-cooled, 90-degree, four-stroke v-twin engine which sends its power to the wheels through a continuously variable belt-drive transmission with high and low range, plus reverse and engine brake control. As far as suspensions are concerned, the Kawasaki Brute Force 750 4x4i EPS is equipped with a double wishbone independent front suspension that includes preload adjustable shocks. 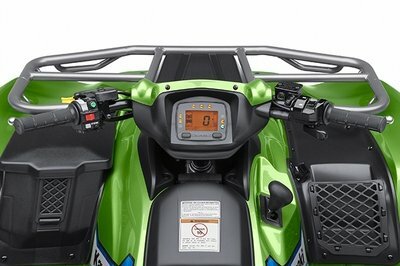 Out back you’ll find double A-arms and a preload adjustable shock at each wheel. 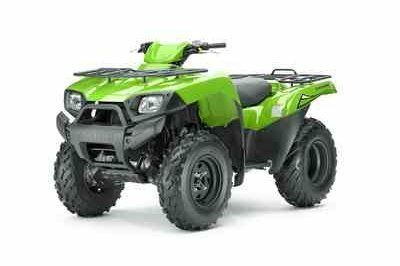 Among the standard features offered by the Kawasaki Brute Force 750 4x4i EPS you’ll find a 12-volt electric outlet, aluminum footpegs and a Trailer hitch bracket with 1,250-pound towing capacity. 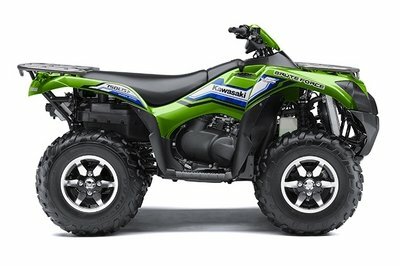 Hit the jump for more information on the 2014 Kawasaki Brute Force 750 4x4i EPS. 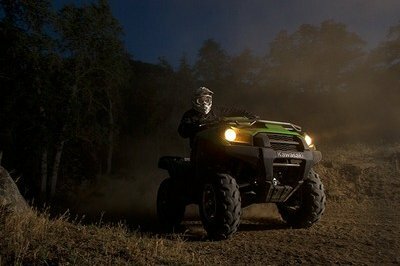 When Kawasaki’s flagship sport utility ATV includes an Electric Power Steering (EPS) system, the result is an unbeatable ride that we like to call the 2014 Brute Force® 750 4x4i EPS. 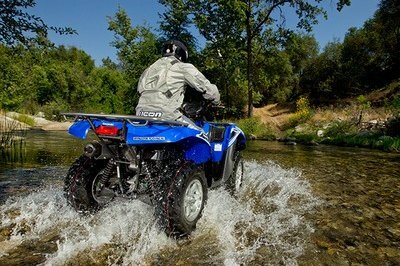 However, experienced riders from coast to coast may simply refer to it as a dream on four wheels. 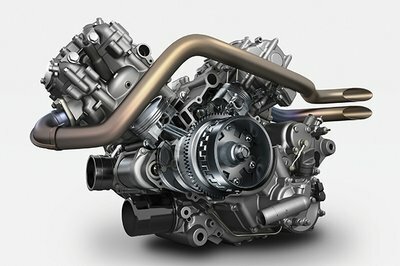 When Kawasaki’s industrial engineers mated an EPS system that makes steering almost effortless to a seriously powerful 749cc V-twin, they knew they were building an ATV for the history books. 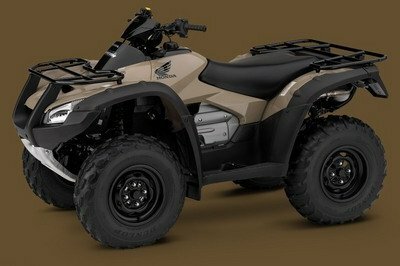 From its four-wheel independent suspension and dual-range four-wheel drive to its rugged bodywork with wide-stance styling cues on a highly maneuverable chassis, the Brute Force 750 4x4i EPS showcases its ability to provide unrivaled traction, handling and versatility. 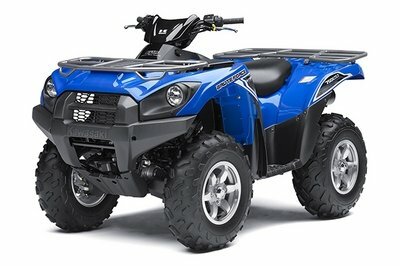 The highly effective Electric Power Steering (EPS) system helps this Brute Force ATV respond to even the lightest inputs on the handlebars, giving it almost weightless handling and excellent ride comfort. Power assist is initiated by turning the bars which causes a signal to be sent to the electronic power steering control unit. This control unit monitors inputs from the vehicle speed sensor and steering shaft torque sensor to determine the appropriate amount of power assistance required from the system’s electric motor. Assistance is greatest when the vehicle is traveling at slow speeds or stopped and is reduced as vehicle speeds increase to help ensure predictable handling. The EPS assembly enhances ride quality and control by also acting as a damping system. 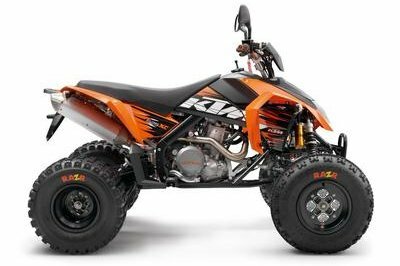 Even when riding in a straight line, the inertia of the electric motor acts as a steering stabilizer, significantly reducing bump steer and kickback to the handlebars caused by wheel impacts. To prevent movements of the differential due to throttle inputs in 4x4 mode from affecting the steering, the complete steering assembly is positioned to avoid the steering shaft’s bottom end from having any direct connection to the front differential housing. This isolation provides smoother handling and more precise steering. Front suspension / wheel travel Double Wishbone/ 6.7 in. 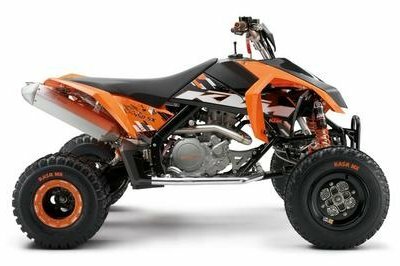 Rear suspension / wheel travel Fully independent, dual A-arm / 7.5 in. Turning Radius 10 ft. 6 in. Rack capacity, front/rear 88 lbs. / 176 lbs. Total rack capacity 242 lbs. It’s hard to find it any faults as this Japanese beast has all it needs to get you anywhere you want without breaking a sweat. 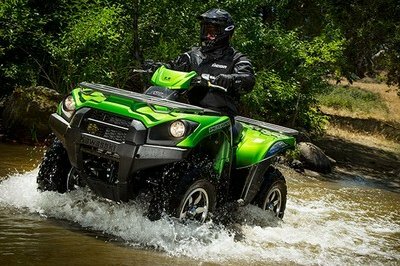 It is the most capable ATV in Kawasaki’s lineup so you can expect to first class performances in terms of ride, handling and power. Moreover, the double cradle frame does its job great and provides much better riding when going over tough terrain. 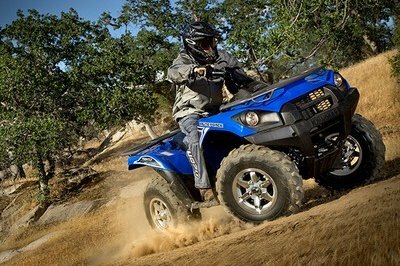 You won’t’ complain about comfort either as the ATV is fitted with a wide and ergonomically designed seat that delivers a pretty relaxed riding experience.